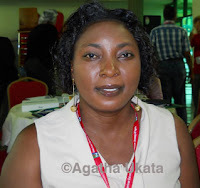 Agatha Ukata, a professor at the American University of Nigeria, completed her doctoral studies at the University of Witwatersrand in 2010. Her PhD thesis “The Images(s) of Women in Nigerian (Nollywood) Videos”, examines female representation in Nigerian cinema. 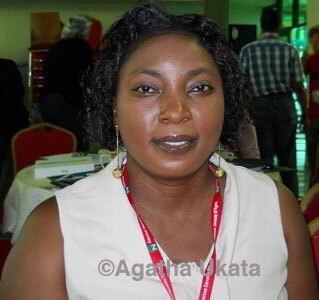 She has published widely on the topic of gender and Nollywood. Agatha, what inspired you to do research on the representation of women in Nollywood? What informed my interest in the study was borne on the fact that the depiction of women in one of the first Nollywood videos that I watched which was Glamour Girls, typified women in very outrageous ways that tried to feed on the stereotypes of women in Nigeria and by extension African societies. It seemed as though women have nothing good to contribute to the society other than destroying moral values, which I strongly have a problem with. With such a portrayal I began to interrogate the rationale behind such representations of women. What was the purpose of your doctoral study? The aim of the study was to explore the different ways in which Nigerian home videos capture women within the cultural values of the Nigerian society. This can be examined in the binary of positive and negative representations. For instance, what constitutes a negative representation going by the Nigerian culture is when women are represented in roles as home breakers, thieves, murderers and the like, which deviates from those which are guaranteed in the moral ethical values of the society. On the other hand, positive female roles are those that explore women as morally upright, hardworking, industrious and making meaningful contributions to their families and society. Furthermore, the positive image of the Nigerian woman is that which captures her as making economic and political contributions to the nation. The study attempted to discern what the ideas of representations of women in films involve. Going by Stuart Hall’s definition of representation as being a necessary aspect of the process whereby members of a culture can create and exchange meaning among them which is all inclusive of the use of ‘language, the signs and images which stand for or represent things’. Thus it behooves on the critic of representations to fashion out what levels of representational distinctions apply to a given study and to which point, Hall’s differential accounts of ‘reflective, intentional and constructional’ posits as an entry point into the interrogation of representations. Reflective tends to question if language merely reflects existing meaning which is out there in the world in terms of ‘objects, people and events.’ Intentional seeks to know if language expresses what the ‘writer or speaker or painter’ intends to say. The constructionist interrogates how meaning is constructed within and through language. The study also closely looked at how representations are achieved in these videos. There has been other research focusing on women and Nollywood, however your elaboration in a doctoral thesis entails more in depth research. What was your approach to the study? How women are represented in Nigerian home videos. What the implication of such representations are. How representations affect the larger society of Nigeria and beyond. The extents to which visual aesthetics and cultural codes are used in the films of study to either portray women in negative or positive angles. What were your theoretical framework, methodology and findings? In this study, I also attempted to look at female subjectivity in terms of how roles are structured within films, in ways which are peculiar to only women and not men. This was done in order to investigate why women's roles are mostly captured in domestic spaces which show them as a marginalized group whose functions in some of the films cannot go beyond those of being mothers, housewives, and other related roles. At the same time and space in contrast, men are depicted mostly as leaders both in military and civilian spheres of rulership, and successful businessmen. Besides I also examined feminist criticism and the mother Africa trope’s interrogation of the stereotypes of women in these home videos in line with the cultural values of the Nigerian society. The portrayal of women in these videos demand great scrutiny to identify the image of women which will have adverse effect on them and to which point it does, and also appeal for concerted effort to be geared towards reordering this trend in this fast growing popular media. The study sought to inquire into the various portrayals of female characters, both positive and negative, in some selected Nigerian videos. This was done with the view to ultimately making a case for the improvement in the portrayal of women. Besides, an effort was made to examine the portrayal of women both positive and negative in major films in Nigeria. A more careful examination was made on the following films: The Tyrant 1 and 2 (2003/4), Masters Strokes (2004), I was Wrong (2004), More than a Woman 1 and 2 (2005) and Omata Women (2003). What have been the responses to your research? I have taught Nollywood at the University of the Witwatersrand but not with specific focus on gender issues, aside sometimes alluding to how gender roles are constructed in the videos. However, my audiences in conferences have reacted to the debased ways that women have continued to be portrayed in Nollywood videos. Some participants in various conference panels where I have presented on women concerns in these videos have tried to also reason on my lines of arguments in terms of trying to know if such representations have to do with male biases and anxieties? Or if it is just a way of creating images of women in ways that would shock patrons’ sensibilities in order to get people to buy the videos. Overall, many people agree to the fact that despite few isolated cases which might seem to have a bearing with how women are in the society, women's representations in Nollywood videos is outrageously out of proportion of what women really are. This to me begs the question why women have continued to receive such representations in this fast moving industry. Especially because I feel that there is a sense in which representations set the pace for reading women in particular societies.